There is no doubt that PAPER Arts should be defined by its slogan ‘empowering young creatives to pursue a career in the arts’. As an organisation, we view the world as a place where creativity can be used to enhance people’s lives. Even if you think you have nothing else, you will always have your creativity. This can be evolved into something ground breaking. Often in the modern world however, we are faced with the problem of not realising our potential or not knowing how to use it. So, this is where PAPER steps in to help empower young people who are just getting started. We educate them about the industry and develop their skills to speed up and boost their work. The opportunities available at PAPER include The Mentoring Club, Work Experience, Internships and Creative Advice Bureau. The Mentoring Club is a 10-month programme that aims to help young creatives flourish. Work experience is offered to 5 people with varying creative skills who are expected to coordinate their talents and hold an event for like minded young people in Bristol (those who also need that extra push and guidance in pursuing their dreams!). 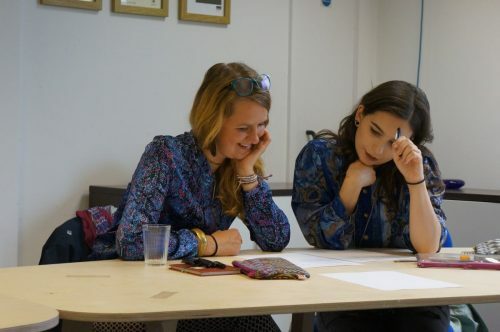 PAPER aims to offer six-month paid internships to kick start 16-24 year olds artistic careers regardless of their experience or qualifications. All of these exceptionally beneficial opportunities are topped off with the one to one sessions that are offered. These pragmatic sessions should be highly valued as they focus on all the necessary skills one must obtain to secure a successful career such as branding, marketing, cv writing, finance, selling and accumulating a following which leads to customers/clients. 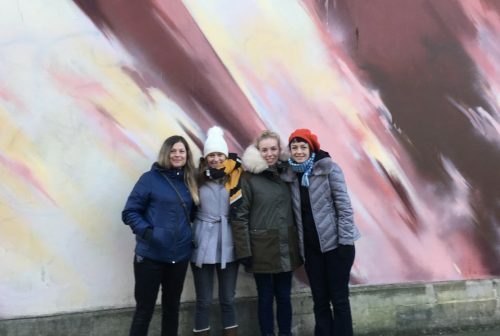 If you are curious as to who comprises PAPER then we can tell you that the creatives behind it all are Simone Kinder, Georgina Mallabar and Grace Kress, to name a few. Simone (Managing Director) founded the organisation in 2012 and is ‘proud to have developed an organisation that provides a number of support services to help young people to make an income from their talents’. Simone wanted to ‘provide a platform that would support others to discover the satisfaction of making a living from doing what they love’. This leads us on to what we do here at Redbrick House and how this is related to PAPER Arts. 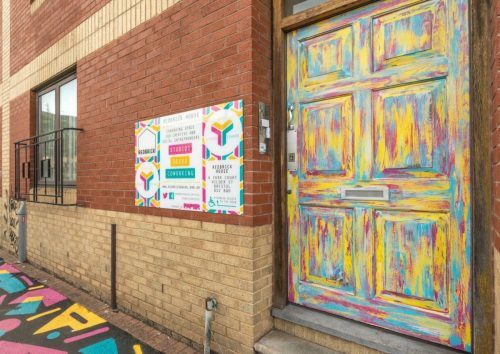 Redbrick House is a coworking space that encourages careers to grow, regardless of age, by providing the space to do so. PAPER both lives inside and owns Redbrick House and that is why we are a not-for-profit organisation because all of our profits from renting the workspace goes into running our PAPER Art programmes. With both strands of the organisation working together to achieve their likeminded aims, stronger outcomes are induced. This includes both supporting entrepreneurial talent and allowing for a creative skill set or mind frame in the workplace to grow. Individuals, no matter what their interests, go on to achieve great things that they once might not have anticipated.